Last week, Celebrity Cruises announced its own Suite Class, which takes after Cunard Line’s Grill Class, but also follows MSC’s “Yacht Club” and Norwegian Cruise Line’s “Haven” in the establishment of a new top class for cruisers. And joining its upmarket sister line Azamara Club Cruises, Celebrity will also make a number of overnight port stops in 2015 and 2016. Meanwhile, MSC Cruises has released some details on the lengthening of its four Lirica class ships. And finally this week, Hamburg-Süd has relaunched its freighter-passenger service between the US East Coast and Australia/New Zealand, a route that dates back to 1963. 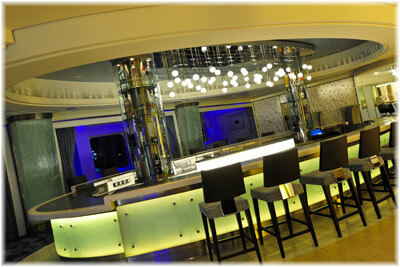 Many in North America are fond of saying the Celebrity Cruises is its own version of Britain’s Cunard Line. That just got closer to being true last week with Celebrity Cruises’ announcement that in April 2015 it would introduce a new Suite Class. While sounding kin to Grill Class on Cunard Line, it may also be similar to MSC Cruises’ “Yacht Club” or Norwegian Cruise Line’s “Haven,” although the latter are carved out into distinct areas on top of the ships. Celebrity’s new suite class will not be a precinct as such, but will include all of the best accommodations in the best locations throughout their ships. – A dedicated suites-only restaurant using world class ingredients, available morning, noon and night, with its own unique menus offering dishes that are not available elsewhere on board. – A VIP lounge that takes its name from the one-time cigar bars, Michael’s Club, for guests in Celebrity, Signature, Royal, Penthouse and Reflection suites. – Complimentary meals at all specialty restaurants, premium drinks, unlimited Internet access and private bar with beer, water and soft drinks for guests in Royal, Penthouse and Reflection suites. As well as priority check-in, Suite Class guests will get butler service, in suite afternoon tea, plush bathrobes, premium bedding and reserved theatre seating. At the same time as it released the details of its new Suite Class, Celebrity announced that it would begin to offer overnight stays on several cruises in 2015-16, at twenty-nine different destinations. 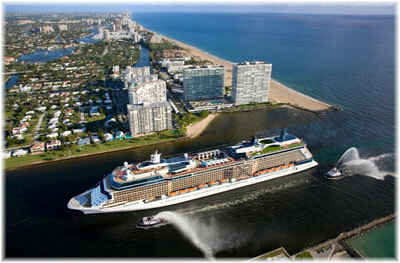 – Venice, which Celebrity Constellation will visit during the Redentore Festival. – Edinburgh, where Celebrity Silhouette will overnight for the British Open Golf Tournament. – Cannes, where Celebrity Equinox will be in port during the Cannes Film Festival. 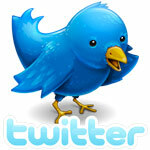 – Ibiza and Mykonos, where Celebrity Equinox will overnight for the nightlife. – Hong Kong, where Celebrity Millennium will be stay for the Chinese New Year celebrations. According to the line’s own figures, the gross tonnage (useable onboard volume) of each ship will rise by about 10% while the lower bed count will go up by 25%, which will reduce the amount of space per passenger by almost 12%. As well, the crew to passenger ratio will drop slightly, from one crewmember for 2.2 passengers to one per 2.4 passengers. The lengthened ships will boast a new spray park, additional entertainment options and expanded shopping facilities. 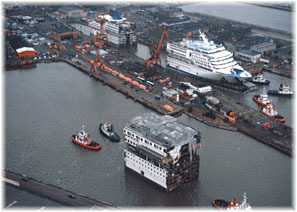 Each ship will spend about ten weeks in dry dock. MSC Sinfonia was delivered to Palermo for her stretch on January 12, while MSC Opera will follow on May 2, and MSC Armonia and MSC Lirica will be delivered to Palermo together on August 31. With final completion of the MSC Armonia set for November 17, all four will have completed the process in time for the 2014/15 winter season. Stretching cruise ships is nothing new. The entire Fred.Olsen Cruises fleet of Black Watch (93 feet in 1981), Boudicca (93 feet in 1982), Balmoral (98 feet in 2007) and Braemar (102 feet in 2008) has been stretched at one time or another. Other lengthened ships include Albatros (93 feet in 1983), Thomson Dream (130 feet in 1989), SuperStar Aquarius and SuperStar Gemini (130 feet each in 1998), Thomson Majesty (111 feet in 1999) and Enchantment of the Seas (73 feet in 2005). The process of adding new midsections to ships goes back a century and a half. One of its first major proponents was the Allan Line of Glasgow, which was later absorbed by Canadian Pacific. The Allan Line stretched half a dozen of North Atlantic liners between 1871 and 1874, by an average of about 40 feet on much smaller ships. At the time, this was done for engineering reasons, when steam reciprocating engines were being compounded. Longer ships could accommodate more powerful engines, and as a bonus this resulted in some additional passenger capacity. Today there are no engineering reasons for lengthening ships. In fact, the better-proportioned hull form often results in a little extra speed, although there may be a need for more auxiliary power. 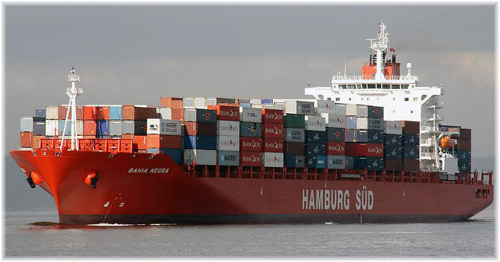 In a relaunch of its US East Coast-Australasia service, Hamburg-Süd has given three of its container ships new “Spirit” names: Spirit of Melbourne (ex-Bahia Grande), Spirit of Sydney (ex-Bahia Negra) and Spirit of Auckland (ex-Bahia). At the same time, its cargo-passenger service from Philadelphia and Charleston to Auckland, Sydney, Melbourne, and back to the New Zealand ports of Port Chalmers, Napier and Tauranga has re-opened for passenger bookings. Three more ships will soon follow in the Spirit of Shanghai (ex-Bahia Castillo), Spirit of Singapore (ex-Bahia Blanca) and Spirit of Hamburg (ex-Bahia Laura). Each ship offers a large Owners Cabin plus one other cabin, usually a single but sometimes a double. The quickest southbound transit time is 25 days from Charleston to Auckland or 28 days Charleston to Sydney and the quickest northbound is 26 days Auckland to Philadelphia, or 36 days Melbourne to Philadelphia. The full 70-day round trip starts at €7,085 (about £6,075 or US $10,125) per person and one-way bookings are also possible. 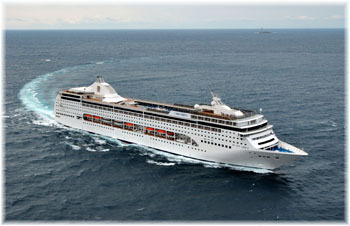 Ten ships operate in this weekly service, of which six will accept passengers, with the others coming from Maersk Line. Hamburg-Süd has been carrying passengers on this route since the days of Columbus Line, which began service to Australia and New Zealand more than fifty years ago, in 1963.